The folks over at Kotaku have received a shiny new list of features about the newly added Sims 4 Ghosts. 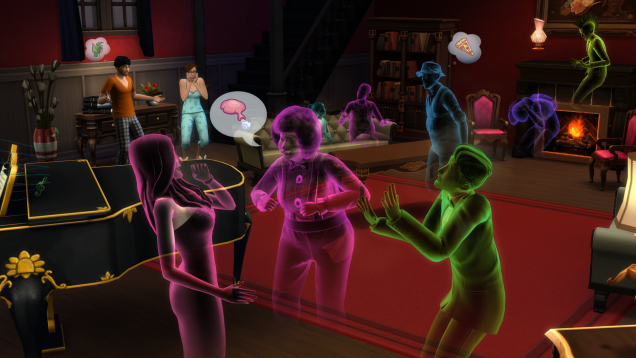 Check out some of the ways you can play with ghosts in The Sims 4. When a Sim dies, they become a non-playable ghost. Use the "Invite to Household" interaction to make a ghost into fully playable member of your household! Ghosts can have relationships, get married, woohoo, hold jobs, build aspirations, earn traits, or just be! Sims that died by hunger seek to satisfy their hunger in the afterlife. Sims that died by overexertion and old age find they prefer to take it easy in the afterlife. Sims that died by fire have a new interaction available to them...my advice, try and not make them angry. 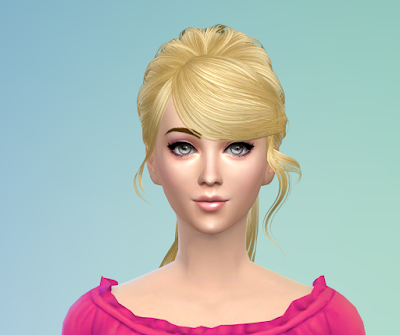 Sims that died by an emotional death can radiate their emotion onto other Sims. Sims that died by electrocution, when angry, have a unique interaction to break electronic devices. They also seem to really enjoy the "Hand Buzzer" social. Sims that died by Cowplant have the desire to harm and help the plant world. They can cause plants to die when in a negative emotion, but will care for plants when in a positive emotion. Ghosts have new interactions available to them, such as "Ghost Scare," "Pass Through," and "Talk About Death." Level 10 Gourmet cooks have a new recipe "Ambrosia", which can be used to bring a Ghost to life (or give a Sim renewed life)! There is a new gardening flower type, the Deathflower, which can be used by a Sim to save themselves or another when visited by the Reaper! Despite their otherworldly abilities, ghost Sims are still subjected to the same household limitations as living ones. That means you can have a maximum of eight playable Sims in a particular household. Nonplayable ghosts, meanwhile, go about their business the same way that living NPCs do once they come out of the tombstone at night. Franklin noted that it's technically possible, therefore, to create a world in The Sims 4 filled entirely with ghosts. Killing all of them might be tricky, though.